@maxmp Will it be possible to play a queue in shuffle all mode in the future? 790 was missing all the checks required to detect if output supports hi-res or not (usually this is defined by audio policy conf files, and by hardware, of course). To my knowledge none of the Android devices support hi-res for build in speaker currently, so for 790 that hi-res output on speaker is converted back to standard res by Android anyway. 1. Coloring Problem: Certain album covers don't blend the control colors correctly. 2. Prev/Next Album Swipe: If you aren't going to bring back the up/down album change gesture, could you possibly implement the <-/-> buttons into the toggle row? 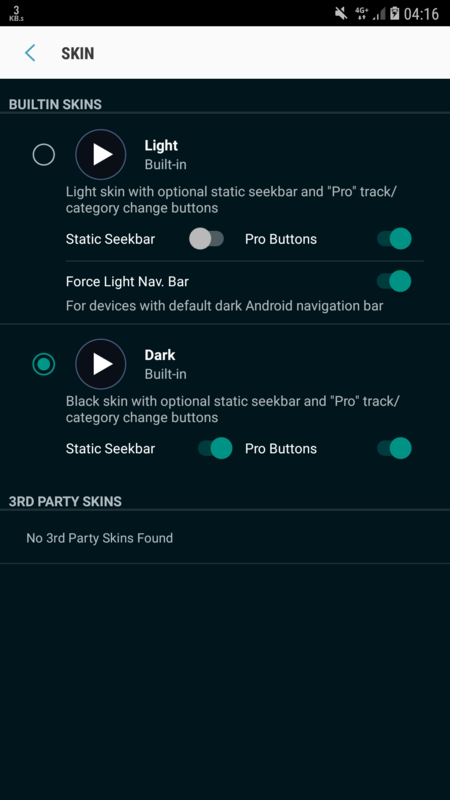 Either allow us to set what toggles are displayed, or if possible allow a swipe to scroll different options in that row of buttons. This would work great for one handed usage. Wow what a great day, Poweramp release and Em. Seriously both killer releases! Still cannot see in list - which track now playing. Will be glad to see header with smaller size and pinned as in v2 - it was more usable. Now when in folder many tracks i cannot see no folder where i am and not current track. This was only one reason why i after week of usage v3 were rollback to v2. In other moments player works very fine. 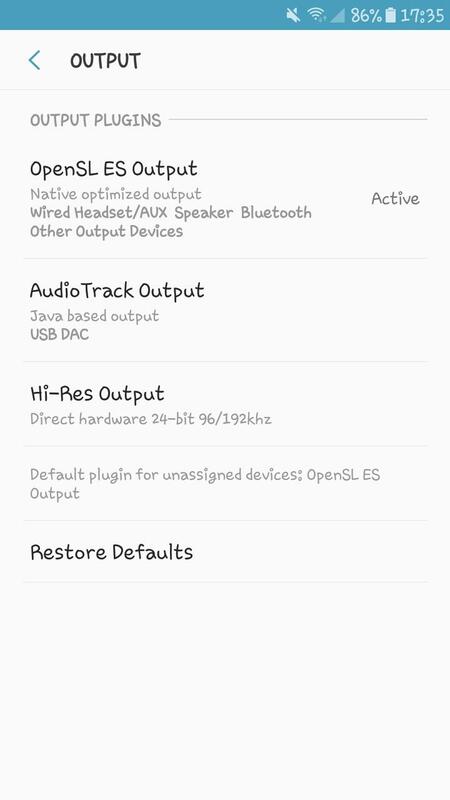 But I have some problem with using hi-res on my Xiaomi Redmi 4X (Android 7.1.2) When I choose hi-res output for my wired headset, sound play through external speaker, and doesn't want play on headset. On previous release all worked fine. Have you tried rebooting your phone? Now lists keep order settings and also moto display commands are working again. Great! Another option would be to bring the up/down swipe back and make tapping the new track # bring us into the track list. And Poweramp doesn't show up above my lockscreen regardless of setting. Not sure if an Oreo bug or an LG bug. Selecting Artist and then shuffle artist albums, only plays one of the albums and not shuffles all of the artist albums. Used to before 792/793 but 792/793 and 795 have these issues. @maxmp Just sent a crash report. First real problem encountered. Using the new 795 on an S8+... I hit the Search option, type a couple letters and then hit the 3 dots, then hit List Options and it crashes every single time. Select Official Last FM App in the settings under misc. instead to use Simple Last FM Scrobbler. It is backwards. 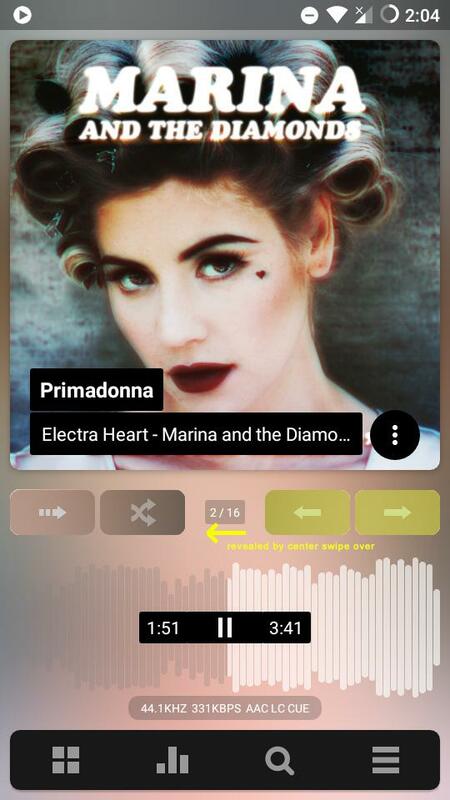 That is how I got it to work with Simple Last FM Scrobbler. I doubt this is going to be fixed. It has been mentioned many times. Tested using CUE based albums. 1. "Include all" requires a manual "Full Rescan" to add them into the library. While "ignoring" them becomes affective immediately. For example, if an album has 99 tracks. With tracks 1-11 and 99 having music, track 99 will become in place of track 12, with all the silent tracks after the album. 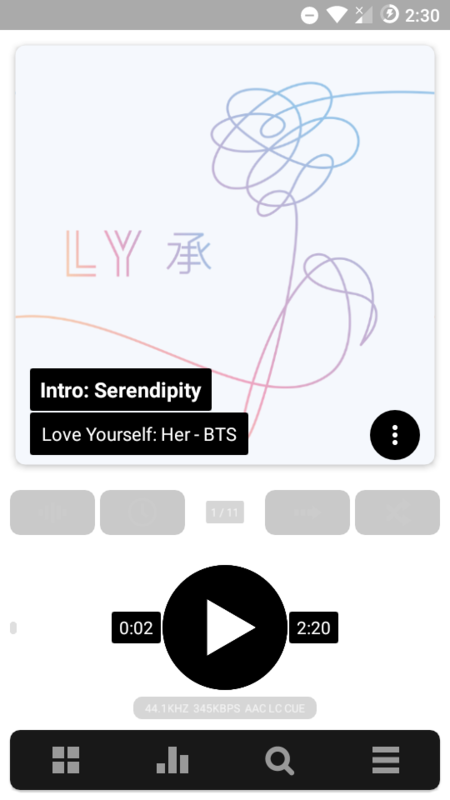 The track count (press 3 dots) in album track list view becomes +1 when coming back from the player display, but it is displayed correctly when entering from the album list view. Awesome thank you for the hard work. Will report back to you if anything is off. Like I said before. I have zero issues if you want to charge for the new version. oh, thank you very much, it worked.